The race to fill Utah Senator Orrin Hatch’s seat – one that he has occupied for seven very long terms – is all but over. And the winner is: Mitt Romney, winning in a walk. 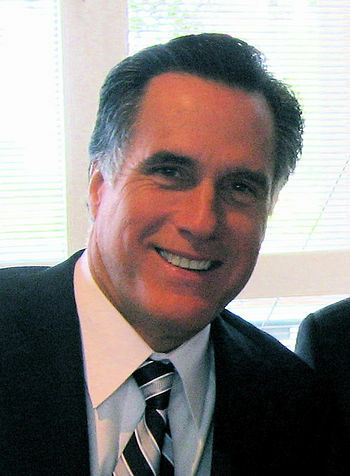 The loser: Republicans who think that Romney will be an improvement over Hatch. Once his voting record is tallied it’s likely that Romney’s will almost exactly mirror that of Hatch’s: mid-50s out of a possible 100. It’s long been said that the middle of the road is marked by yellow lines and populated by dead skunks. In this case, one skunk will be replaced by another, with the same totalitarian odor. Both served as Mormon missionaries in Europe. Both pursued high school sweethearts single-mindedly until they agreed to marry them several years later. Both had very successful careers in business and both became known for turning around failing companies or organizations (the 2002 Winter Olympics in Salt Lake City was rescued from financial oblivion by Mitt). Both presided over a stake (an administrative unit of the LDS church). Both achieved their first elected position at age 55 as a Republican governor of a Democrat-leaning state. They bear similar physical attributes which some have said made them “look like a president.” Both staged their first presidential run in the year they turned 60. Neither of them protested publicly against LDS Church policy that did not allow blacks in its lay clergy until 1978. But Utahans, like most uninformed voters, will likely not know, or will have long since forgotten, that Mitt Romney is a carpetbagger, serving as governor for Massachusetts from 2003 to 2007, during which period he inflicted his version of ObamaCare onto that state’s citizens. They will have forgotten Romney’s hypocrisy when he later declared his intention to abolish ObamaCare as a sop to voters upset about its mandates forcing them to buy health insurance. I’m with the president’s domestic policy agenda of low taxes, low regulation, smaller government, [and] pushing back against the bureaucrats. I’m not always with the president on what he might say or do, and if that happens I’ll call’em like I see’em, the way I have in the past. This entry was posted	on Thursday, February 22nd, 2018 at 6:30 am	and is filed under Crime, Politics. You can follow any responses to this entry through the RSS 2.0 feed. You can leave a response, or trackback from your own site.